Our unique facility offers services for each person’s level of care need, including a special care unit for those with Alzheimer’s and dementia, short term recovery rooms, skilled nursing, adult day care, and on-site rehabilitation services. Village Manor is located close to Memorial Hospital and area physician clinics. It is licensed by the state of Kansas and accepts private payment, Medicaid/KanCare, and long term care insurance. Call us at (785) 263-1431 to schedule a personal tour or browse our website to learn more. Our staff is happy to answer any questions you may have. What makes Village Manor different? 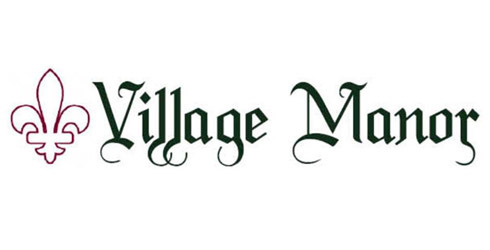 Village Manor takes pride in providing person-centered long term care. We focus on each resident and get to know who he or she is. Families may be asked about the person’s hobbies, family history, career, likes, and dislikes. This initiates better personal relationships between residents and caregivers. Residents are also very much involved in their own care. They are encouraged to join our resident council, which meets monthly. The council is vital in requesting, planning, and carrying out new ideas residents want to implement in their home. Village Manor became part of Memorial Health System in 2003. The facility underwent an extensive renovation to be designed more like a home. Changes included renovating hallways into “neighborhoods” with kitchenettes and living areas in close proximity to resident rooms, designing the entrance to each hallway, and furnishing hallways like a regular home. The renovation also included the addition of a family dining room and Village Center for family gatherings and activities. Since the renovation, Village Manor has added a chapel and library. We are working on creating a soda shop area and garden areas to make Village Manor feel more like a home. We continue to look for ways to enhance our facility that will benefit our residents and appreciate our community’s support in helping us do so. A special care unit is available to those with Alzheimer’s, dementia, and other memory-related disorders. This unit has specially trained staff who assist residents with their unique needs. Security is always a priority in the unit. Doors are kept locked and the outside courtyard is enclosed. Daily activities are designed to keep residents functioning at the highest level possible. Respite and adult day care are available at Village Manor for those family members who aren’t quite ready to give up full-time care of their loved ones. Respite care is temporary long-term care and relieves the caregiver for a longer period of time. It can be for a day, a week, or a month. Adult day care provides caregivers with needed personal time for appointments, errands, and other activities. Short-term recovery rooms are for individuals who require additional assistance following surgery or an illness, if a primary caregiver is temporarily unavailable or if the individual requires more help than their caregiver can provide. The semi-private rooms are furnished, tastefully decorated, and move-in ready. 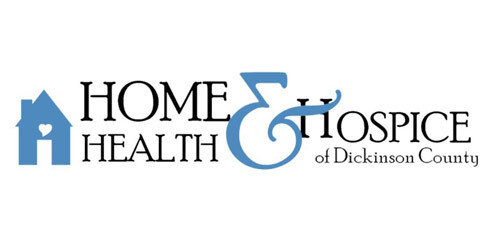 Short-term residents receive round-the-clock care, therapy services on site through Memorial Health System Rehabilitation, nutritious meals with dietitian support, and will have their medications managed by the nurses on staff. Housekeeping services are provided and cable television is available in the rooms. Short-term residents may also engage in the numerous activities Village Manor has to offer. If needed, transportation can be provided for medical appointments by Village Manor staff. Village Manor’s skilled nursing care meets each resident’s needs by developing an individualized care plan. Our specially trained staff follows this plan. Physicians and consulting specialists visit Village Manor residents regularly. For those needs that aren’t met with a house call, Memorial Hospital and physician’s offices are just minutes away. Many people come to Village Manor for short stays to recover from an illness, surgery, or injury and then return home. Village Manor works in coordination with Memorial Health System Rehabilitation to offer on-site therapy services. MHS Rehabilitation offers physical, occupational, and speech therapy. Therapy services are also available to long-term residents when needed. Applications may also be available at the local Department of Children and Families offices. Keep a copy of all documents for your records. It takes approximately 6-7 weeks to process an application. IF it takes longer, you can contact the KanCare Clearinghouse to check on your application status at 1-800-792-4884. The KanCare Clearinghouse may send a letter asking for additional information. If so, respond as soon as possible. Watch for the deadlines on the letters; a missed deadline may cause a denial. If you have questions, call the KanCare Clearinghouse for assistance; 1-800-792-4884. The person who applied will be notified by letter if their application has been approved or denied. to appeal if they feel they have cause to do so. Information for a Medicaid eligibility hearing can be found at oah.ks.gov. The Village Vine is a monthly newsletter for residents, family members, employees, and community members. It includes information about upcoming events and activities at Village Manor. As sad as I am today, I am comforted that our loved one lived through the most difficult challenge of his life at Village Manor among people who honored him with compassion, humor, and dignity. Thank you for helping me maintain a long distance connection, it made all the difference. The gentle care and love that he experienced in his time at Village Manor has been such a gift to all of us in his family. With unfailing grace and kindness, you have all made what was something of a nightmare a time with many moments of joy and beauty. We have used the dining facilities often to accommodate our family gatherings, and this has been a true blessing! A special thanks goes to Carrie who set us up so beautifully for our anniversary…really special! Our family can not say enough good things about everyone at Village Manor involved in caring for our dad. We want you to know how much we appreciated the kindness and care provided to him as well as our family members. You made an unbearable situation more bearable. Good job and continue the good work-you do make a difference in people’s lives.